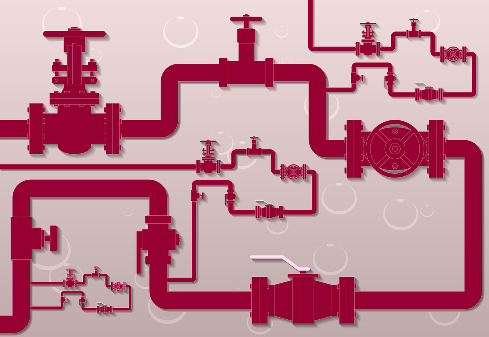 Whether you own residential or commercial property, chances are it houses gas and water valves. Without the proper safety guidelines in place, gas or water valves can leak and cause severe damage; gas may even cause fires or explosions. Keep these tips in mind for your property's valves to ensure your property remains safe. Locate the main shutoff valves on a property as soon as you acquire it. Unfortunately, accidents happen sometimes. If a pipe springs a leak or you notice a gas hazard, knowing where the main valves are will prevent the problem from becoming even more costly and disastrous. Most of the time, these valves are located in the basement or cellar areas. If you can't find them yourself, a professional inspector can help you (performing an inspection is essential before purchasing new property anyway). Because master shutoff valves are usually in the same area where you store old boxes, old business inventory, or old sports items the kids never use, it is easy for the valves to become covered in dust and dirt or to be buried in items you never use. If your valves aren't easy to access, you're creating a safety hazard. Store items properly to ensure there is always a clear path to water and gas shutoff valves in case of an emergency. Locking valves are especially important if you are creating a safety plan for a residential property. Valve lock systems, which are available in a range of styles and materials, protect the valve from prying hands that may become curious about turning the new knobs they find. Valve locks ensure only you or other trusted adults (or employees, if you're protecting a business) can turn the valves on and off during an emergency. Remember, gas and water valves require inspection just like any other part of the home. Have a professional provide any required maintenance to the valves at least once per year to ensure your safety and that of your family, employees, or customers.